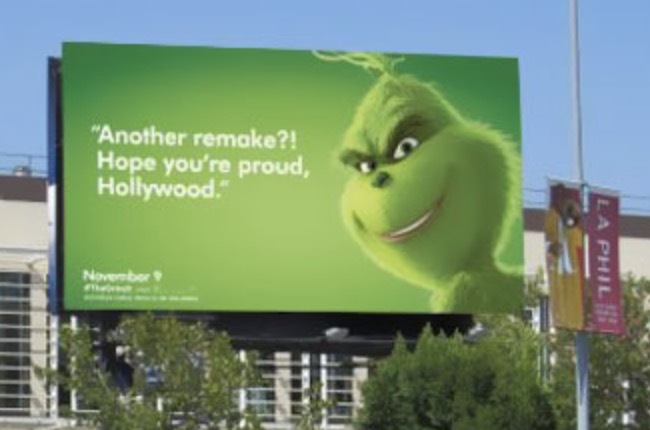 The newest remake of The Grinch was released on November 9th (it’s AMAZING by the way) but the fun has been ongoing. 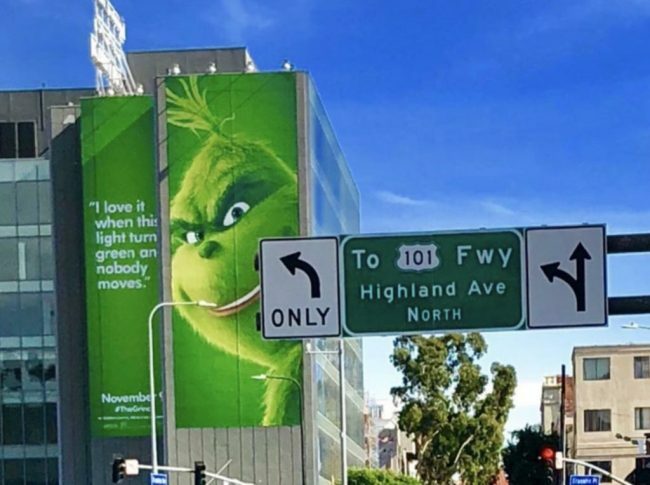 The Grinch features on a series of billboards across US cities, roasting the very people in those places! 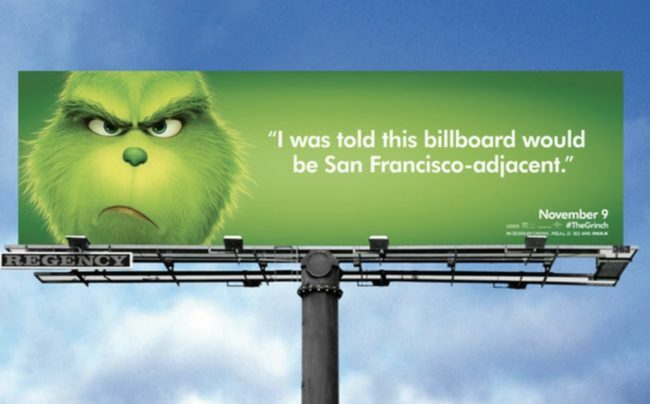 Both the movie and the billboards have gone completely viral and we love it. 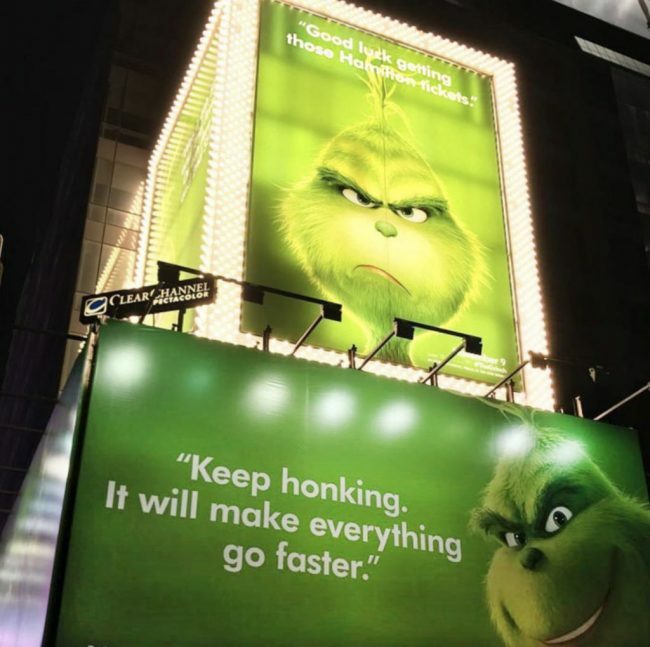 So, embrace your inner Grinch and laugh at this amazing marketing campaign that may insult us but still makes us giggle! It’s true, honestly. Free food means we are more than likely to go along. 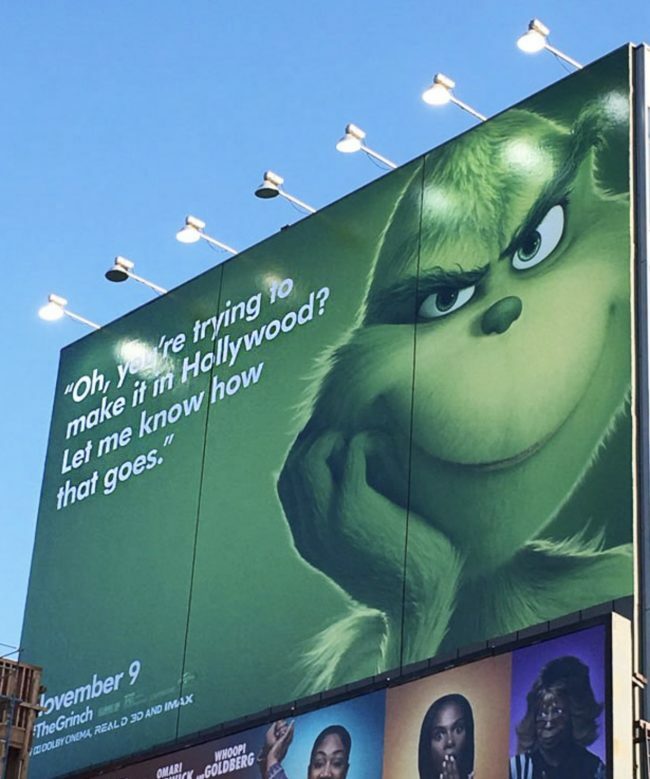 At least the Grinch is bringing some honesty. It’s a pet hate of mine when people honk their horn at traffic as if that will make ANY difference. Sorry Mr important, now that you’ve honked, I will move aside for you, despite the hoard of traffic ahead. JEEZ. This is what we look like, all day every day. Unless someone makes us laugh like the Grinch does! 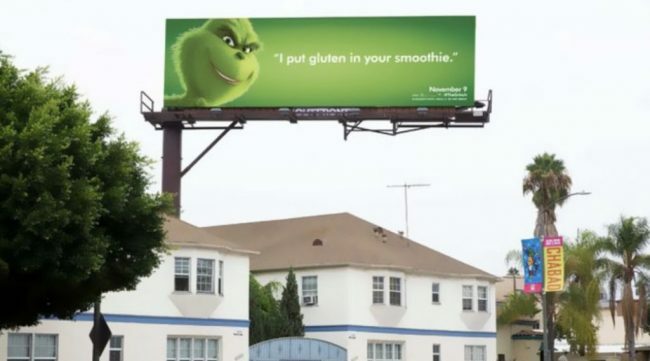 Putting gluten in somebody’s smoothie ESPECIALLY in LA is prison-worthy. Don’t even think about doing it or they will soy you to death. 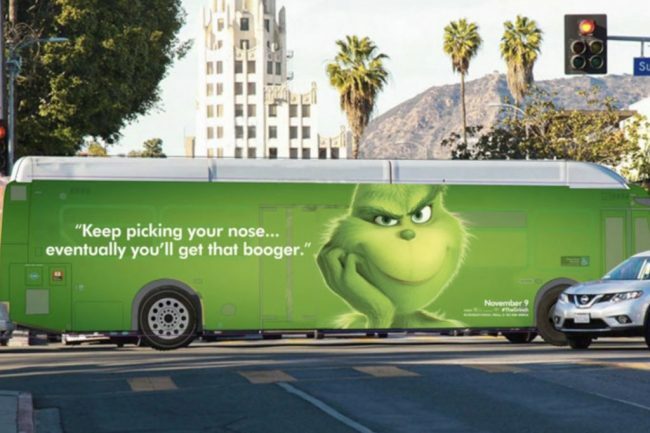 A classic Grinch joke. Whoever doesn’t understand that green means go really does need to go back to school. The classic tourist thing to do in New York is to take a selfie in Times Square. Think again! 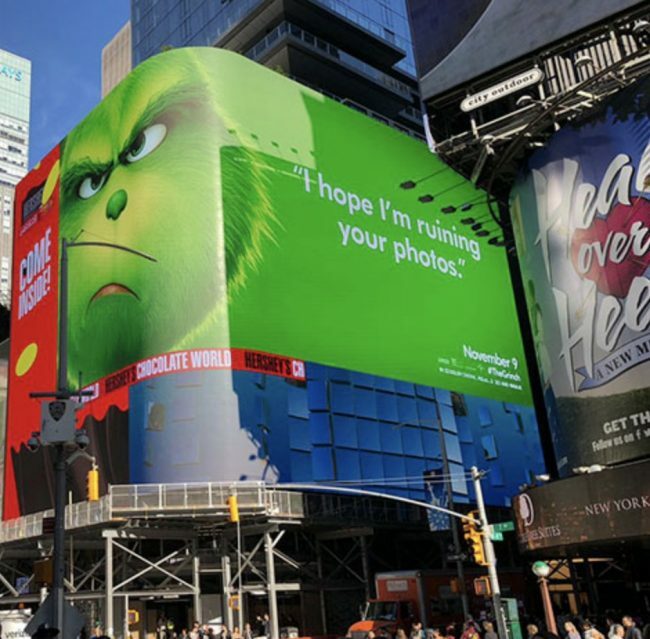 The Grinch isn’t going to let you get a good photo, sorry. 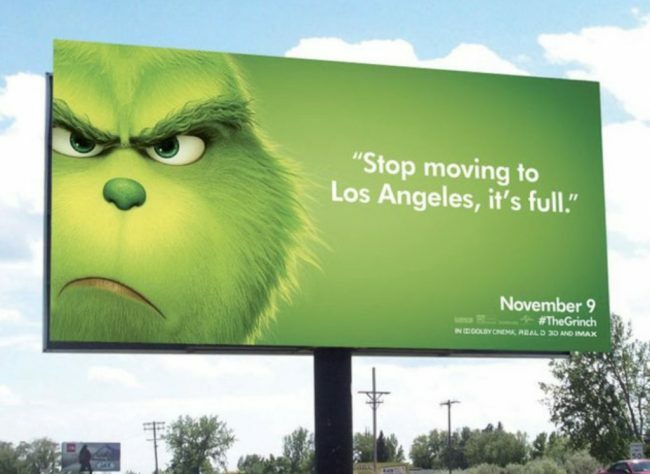 The Grinch doesn’t like crowds and definitely doesn’t want more people moving to LA. Abide by the wishes of the Grinch and just stay away! 8.) 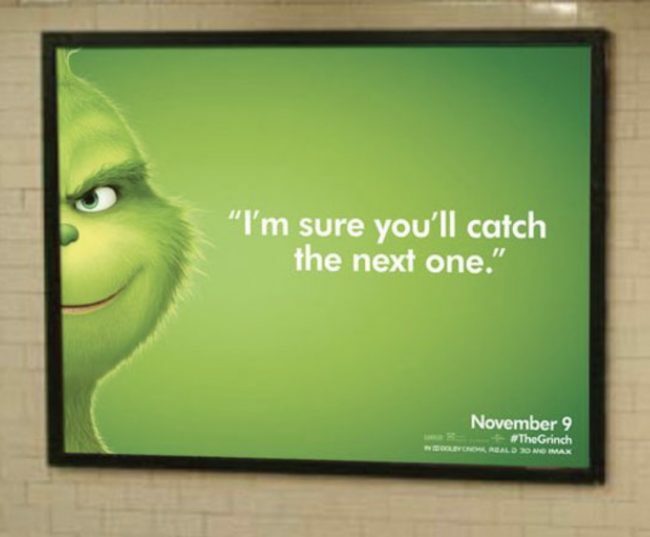 The Grinch: Crushing dreams one day at a time! Many people move to Hollywood in order to fulfil their dreams. 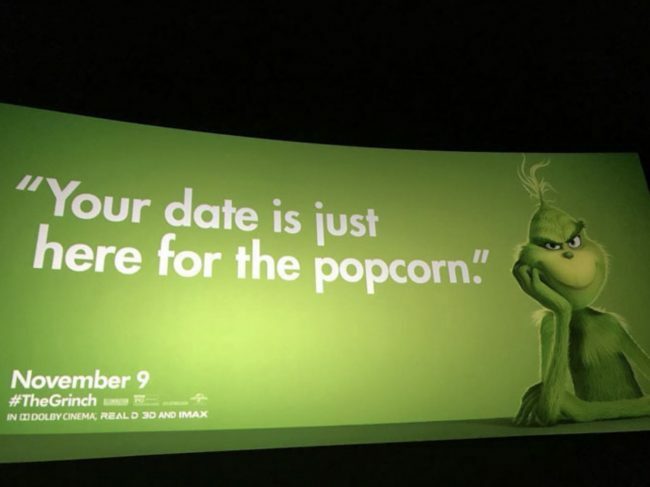 Not on the Grinch’s watch! According to him, you have no chance. Apparently, you guys have more in common than you think. Congratulations…I guess? Nope, you weren’t subtle. 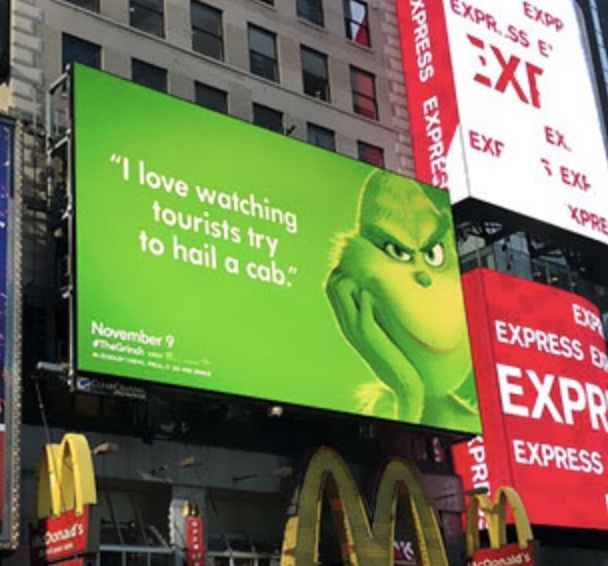 Everyone here noticed, including the Grinch. Maybe don’t keep trying though, its kind of gross. 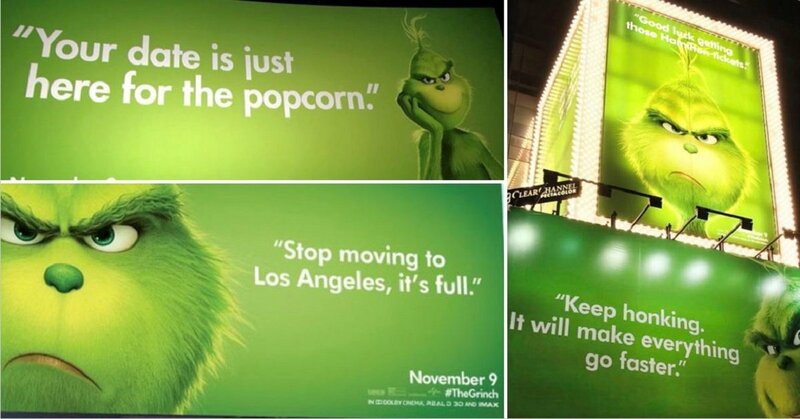 The Grinch is laughing at how none of us can afford to live in New York or LA and none of us are going to be able to enjoy retirement until we are about 100. Cheers, buddy! A remake that’s making fun of remakes?! Seems legit. 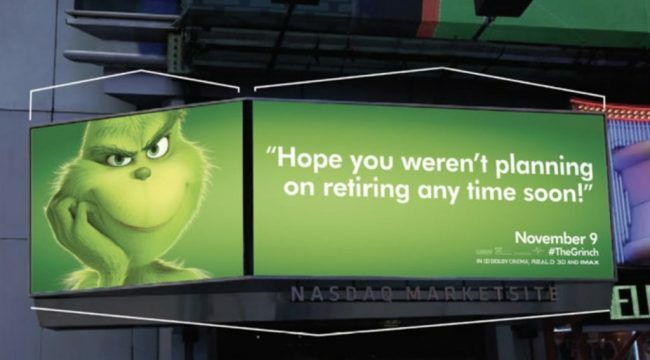 At least the Grinch can laugh at himself sometimes when he is taking a break from inflicting misery. 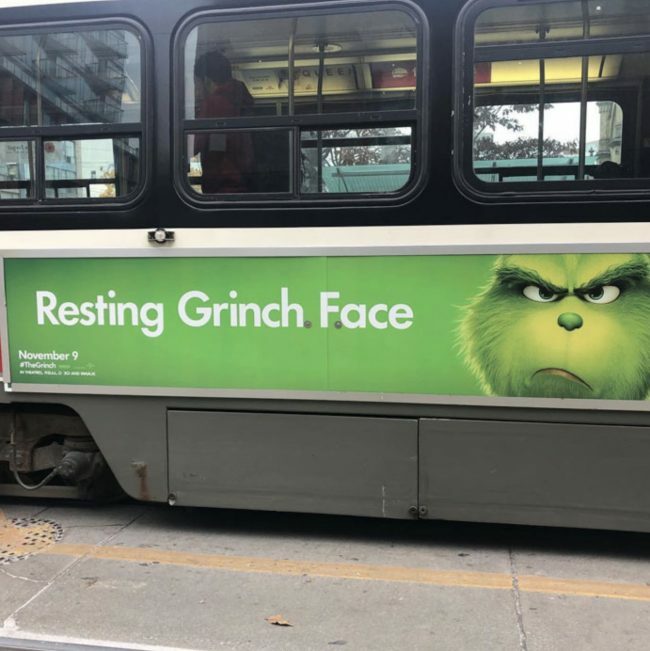 The Grinch loves to watch and laugh at us trying to run and catch a train. At least he offers some reassuring hope. After trying for over an hour to hail a cab, tourists must look up at this sign hopelessly. This is just so passive aggression we feel bad. After writing this, I’ve discovered I have far too much in common with the Grinch. I might as well start hating Christmas too.